The 2015 Genesis sedan, Hyundai's 5-passenger competitor for the Mercedes-Benz E-Class, BMW 5 Series, Audi A6 and Lexus GS, has an elegant, modern look, more luxury and a new attitude. Most impressive, though, is the amount of standard equipment you get for a notably lower price than its competitors. Even checking every box on the options list, the car is still a relative bargain. 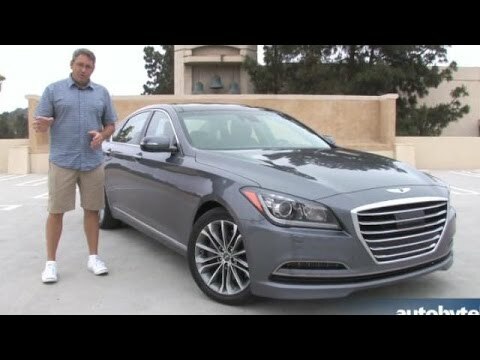 The Hyundai Genesis is true luxury at a reasonable price. The vehicle has very comfortable passenger seating with good legroom. The heating and cooling vents and temperature controls on the passenger side are nice so that the passenger can have a different temperature from the driver . This is a really nice feature when the sun is on the passenger side. The automatic lane warning and braking is also a great safety feature. I also appreciate the automatic window sun shades for the rear window and side rear windows to help keep the car cooler when driving or parked. It is a sports car looks classy and runs smooth. Vehicle runs smooth no problems I have encountered, my usual mpg is 24 seats are great, it is rear wheel drive, six speed manual it is one of the cheaper sports cars! 19 inch rims two door coupe with 4 seats it has traction control, cruise control also equipped with sc. Comes with Brembo brakes top speed of 180 ac is awesome so is the heater the defogger works great it is a fun car to have if you like speed and like to roll in style. Performance ability of Genesis sedan. The vehicle has many high level performance capabilities, it has the active cruise control meaning it keeps its distance from vehicles and will brake automatically. The vehicle is also capable of lane control, it will stay in its lane with no issues whatsoever, you do have to keep your hand on the steering wheel for safety reasons though. The cars riding is very good very comfortable, it feels incredible to drive.